You need the A Radical Approach to Mastering Kanji: The Secret to Learning 1500 Kanji e-book. You’ll learn how to read, write and understand kanji through an easy, step-by-step method. By the end, you’ll master over 75% of the must-know joyo kanji! In other words, you’ll know MORE words and read and understand a TON more Japanese! How? Keep reading! 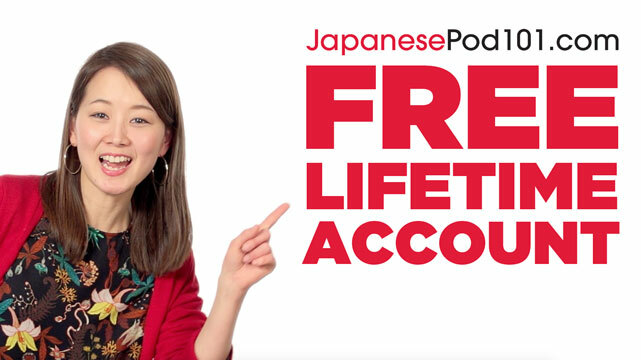 Get Bonus Access to JapanesePod101 & Our Japanese Learning App! You learn the top 50 radicals that appear in 75% of the most commonly used Kanji characters. LEARN KANJI FAST, FUN AND EASY! With Everyday Kanji, you can break down kanji into simple elements in order to understand even the most complicated Japanese. Take the quiz at the end to see how much you remember! How Did YOU Learn Kanji? Lower Intermediate, Season 4 Lesson 17. What methods do you use? Maybe one of the methods our students use to remember their kanji will help you! FREE Auido Lesson: How Did YOU Learn Kanji? Kanji are at times a bit difficult to remember, but people have developed many ways to help themselves remember their Japanese kanji. Some people read them repeatedly. For some, it’s better to copy the kanji into notebooks. Still others listen to native speakers pronounce the kanji as they look at the kanji. What methods do you use? Maybe one of the methods our students use to remember their kanji will help you! The Secret to Learning 1500 Kanji! Get your FREE eBook including the Secret to Learning 1500 Kanji Easily!